“`Calling recent college graduates, adventure-seekers, and hot dog mega-fans: Oscar Mayer is looking for new official Hotdoggers to drive Wienermobiles around the country. The company is calling for qualified would-be Hotdoggers to submit their application for the chance to spend a full year on the road representing Oscar Mayer. “`The perks include a competitive salary, plus expenses, benefits, and clothing; the chance to work in a traveling public relations firm; the experience in a self-managed position with many responsibilities; and, the company car guaranteed to turn heads. Imagine representing Oscar Mayer in the Wienermobile for radio and television appearances, grocery market and military visits, newspaper coverage, and charity events. You will also travel coast-to-coast. 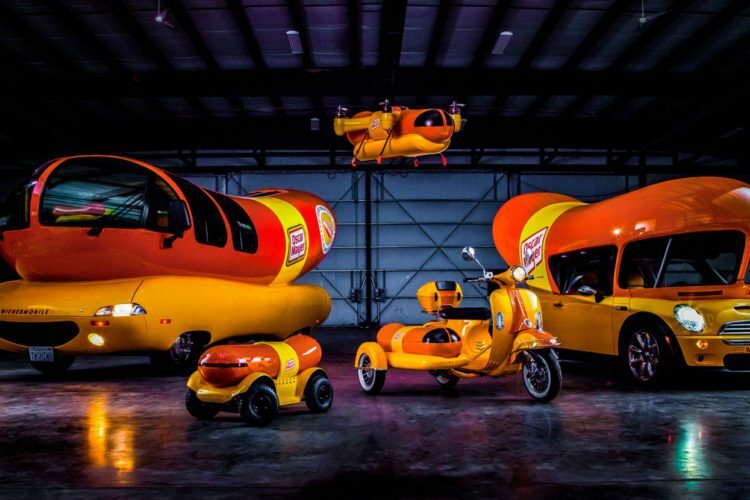 “`This job is a brand ambassador position, and the company is looking for folks who not only will be happy to drive in a Wienermobile, but who understands how to responsibly represent the brand. Oscar Mayer is accepting applications from individuals who have a college BA or BS in Public Relations, Communications, Journalism, Marketing, or Advertising; although this position isn’t limited to those degrees. You have until January 31, 2018 to apply. Drivers will hit the road next June. This entry was posted on Friday, July 7th, 2017 at 2:32 am	and is filed under Blog by Manny Pacheco. You can follow any comments to this post through the RSS 2.0 feed. Responses are currently closed, but you can trackback from your own site.